Apple updated Final Cut Pro to 10.4.4 and Motion and Compressor as well. The biggest new feature is allowing third-party services like Frame.io and Shutterstock hook directly into FCP to add new features. For instance, Frame.io comments can appear directly in the timeline and Shutterstock media can be searched right inside the app. This functionality is made possible when you add extensions that are downloaded in the Mac App Store. More apps and services will be able to add their own integrations now that this has been enabled. 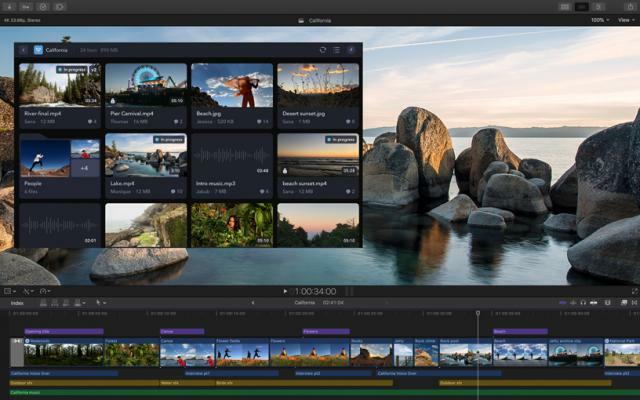 The new version also has batch sharing, a comparison viewer, a floating timecode window, video noise reduction, SRT-format closed captions and better marquee selection. Motion version 5.4.2 gets a new set of color grading tools and new filters such as comic effect and tiny planet. Compressor 4.4.2 has a new 64-bit engine and supports SRT closed captions.